A late flowering Rabbiteye cultivar. 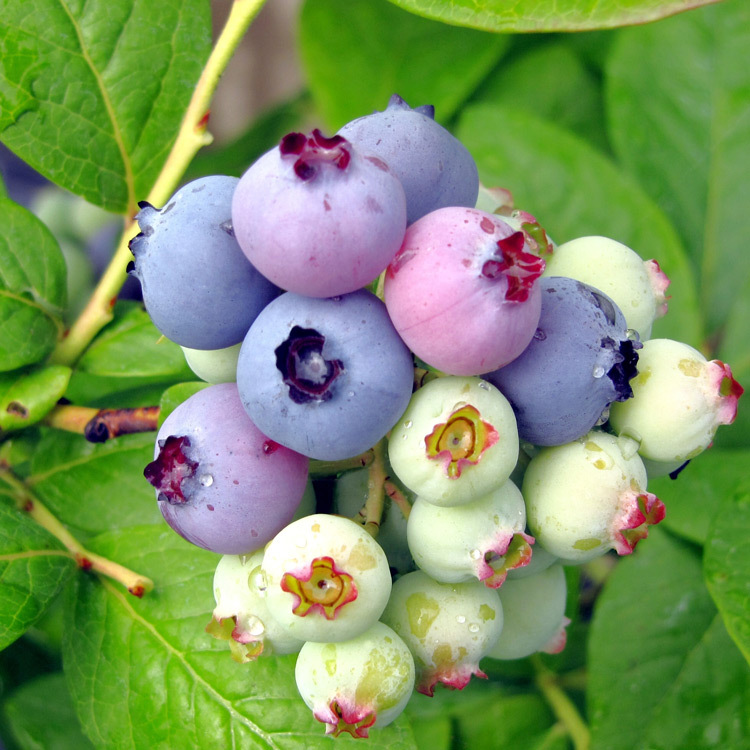 Plant one or more of these cultivars to obtain the optimum fruit set; Columbus, Onslow, or DeSoto. 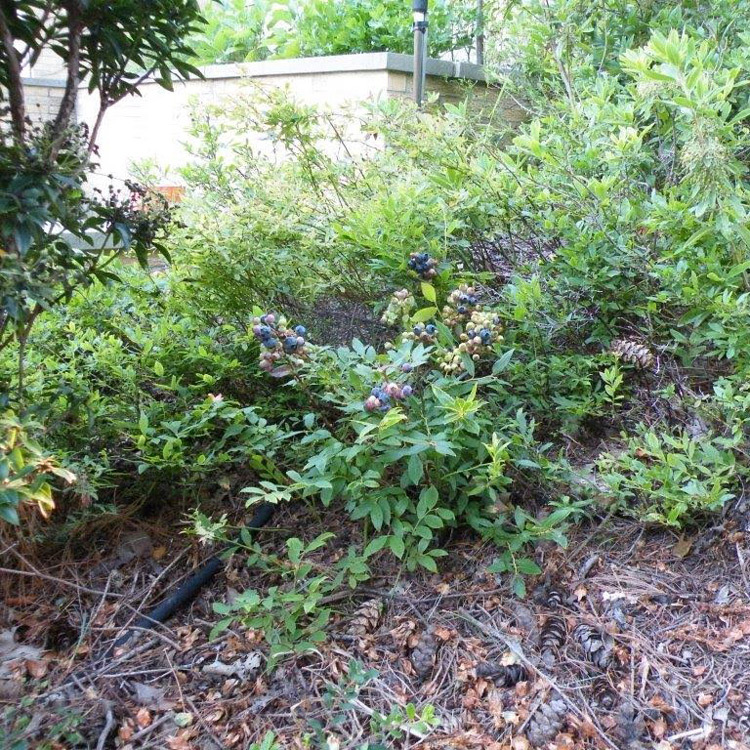 The height of a mature bush is 8-12 feet, upright and vigorous. 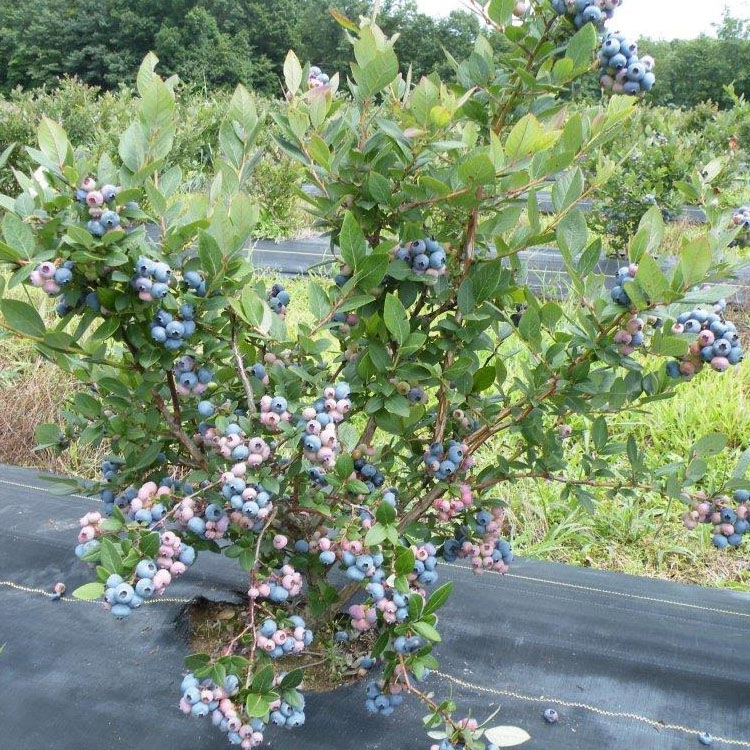 Ripening date is June 20 at Gainesville, Florida. 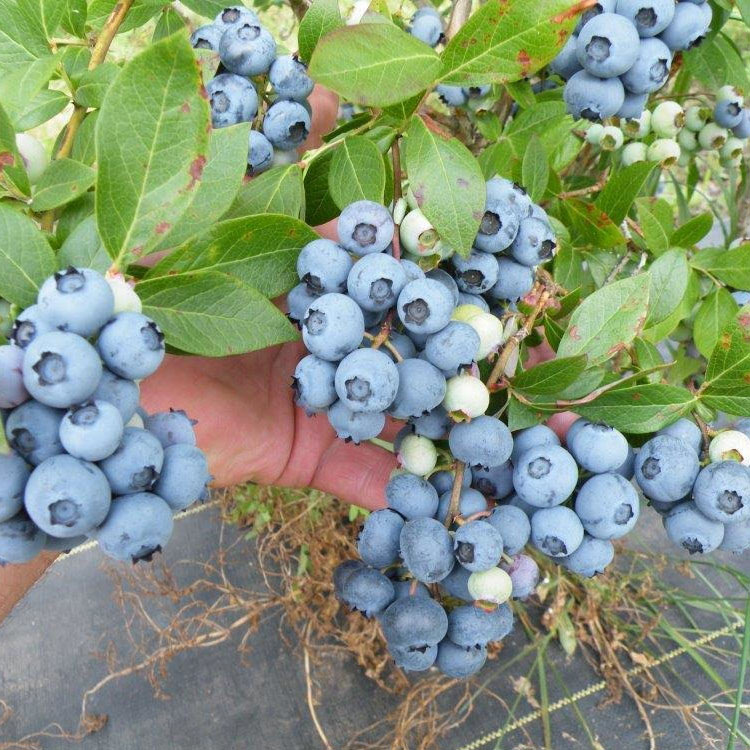 Yields of 8-14 pounds per bush can be expected on well-kept, irrigated plantings. 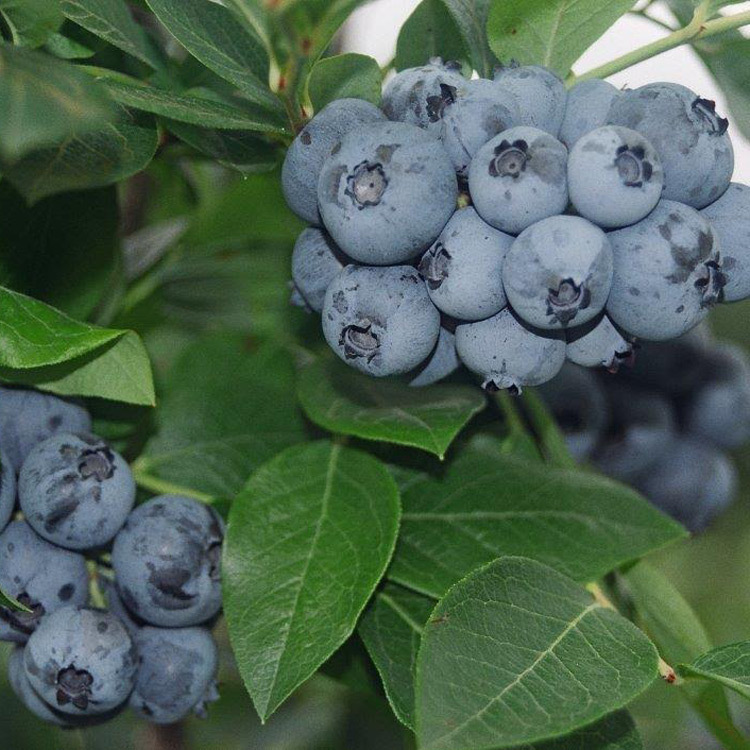 Fruit size is large with 75-80 berries per cup. Berry quality is very good. The fruit is very firm and it is attractive in a fresh pack. 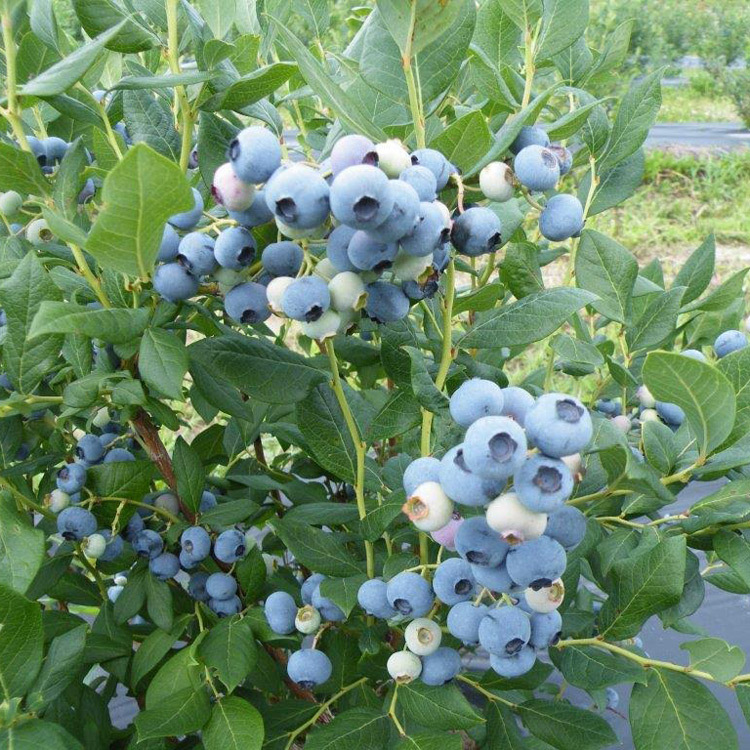 The fruit is powder blue and stands out well among other blueberries. 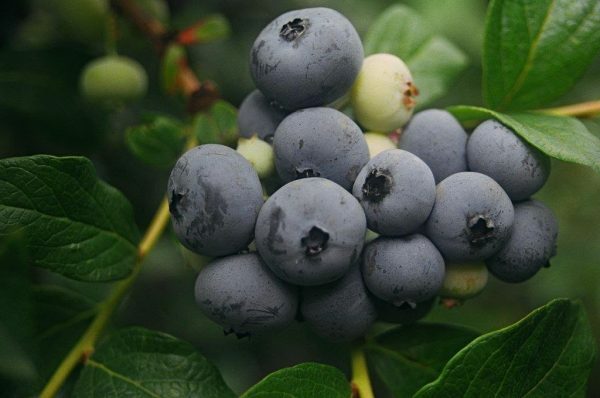 Fruit flavor is sub-acid with distinct blueberry taste. Harvesting should be done by hand but the bush is adapted for mechanical harvesting. 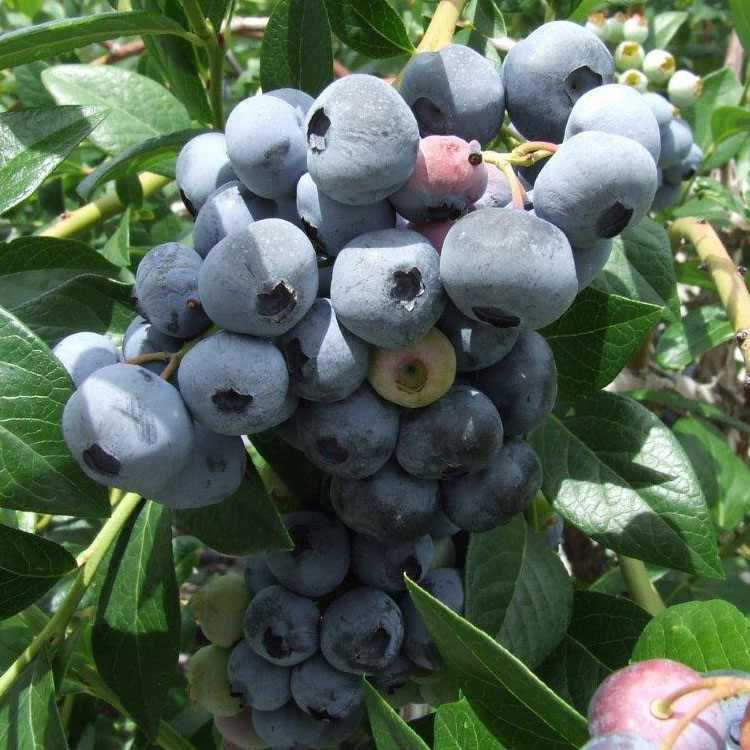 Marketing should be focused on mid and late U-Pick, commercial fresh market, or process. Ornamental use is very good. The bush blooms well and the foliage is beautiful year round. 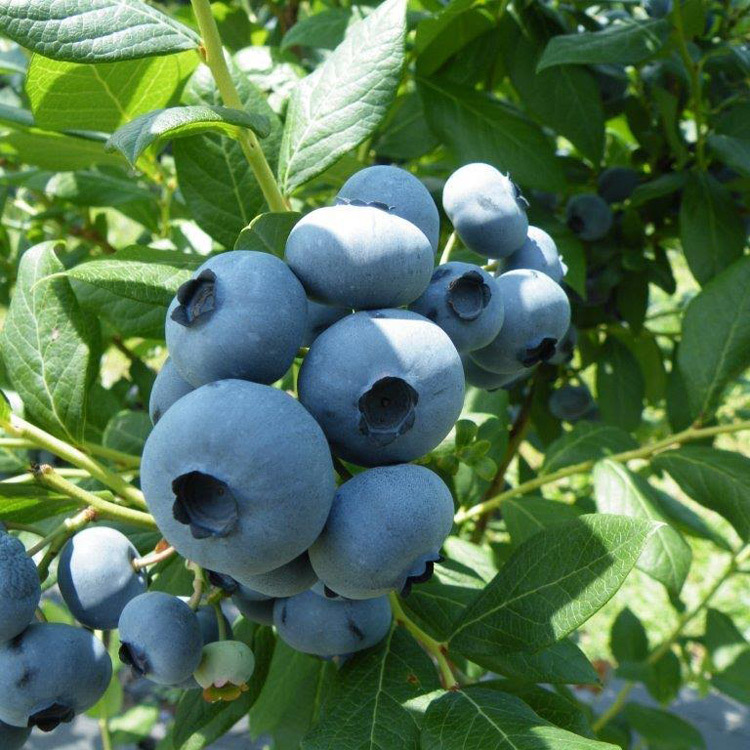 Powderblue should be considered a good pollinator and companion producer for Tifblue, Premier, and Brightwell. Hardiness Zones 9a-7b.